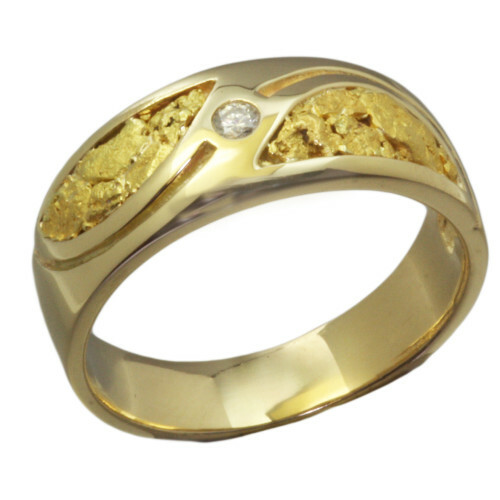 This ring has it all. 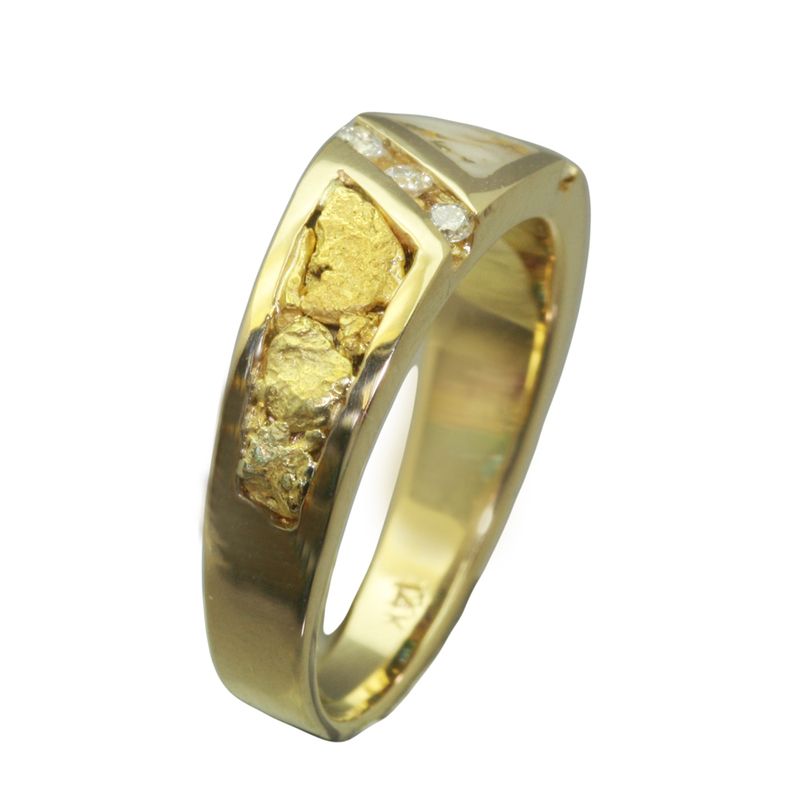 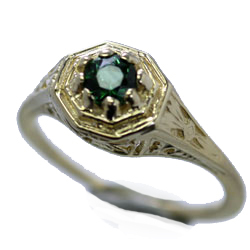 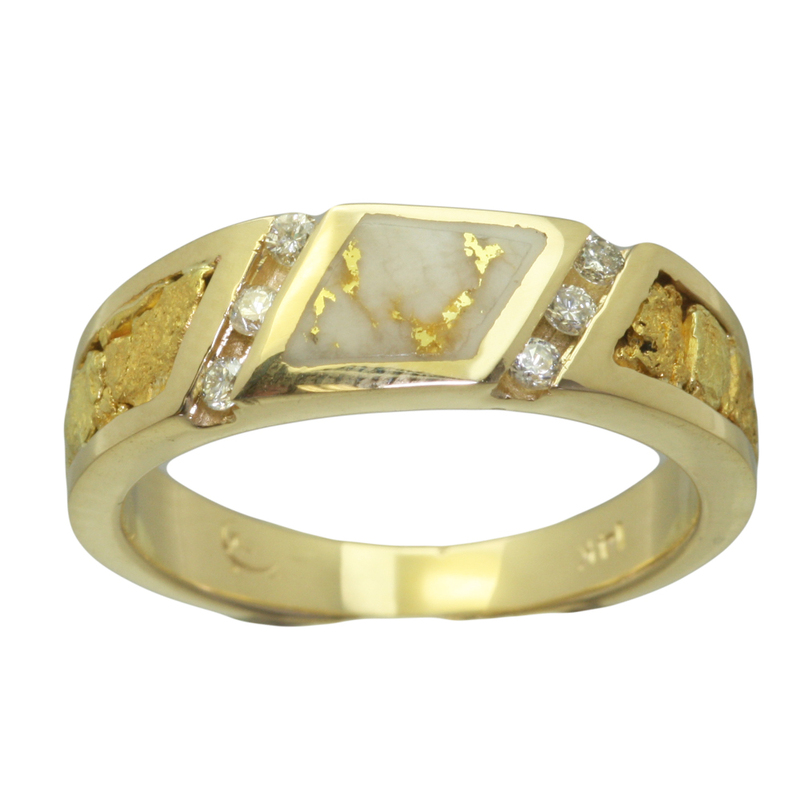 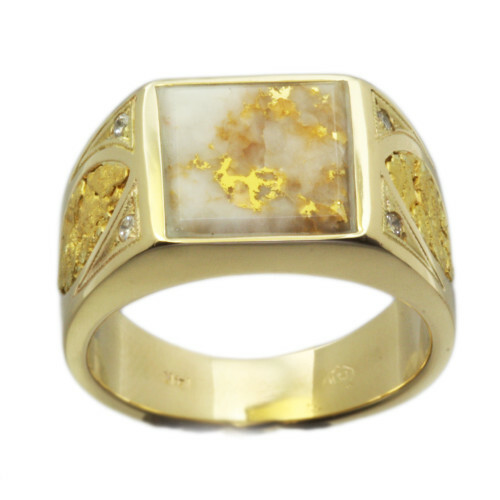 Beautiful Gold in Quartz inlay with a row of diamonds on each side. 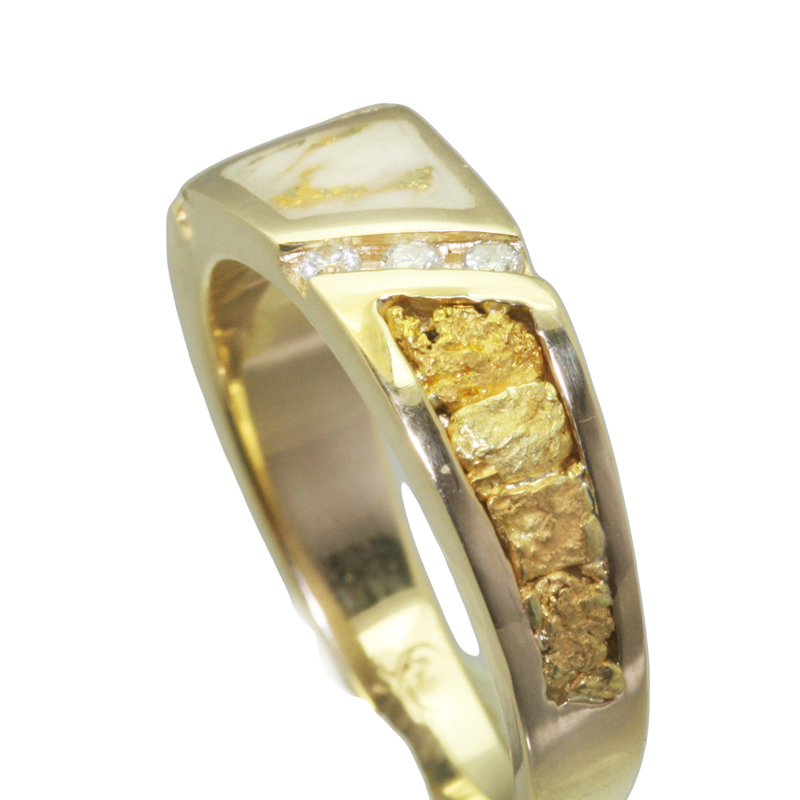 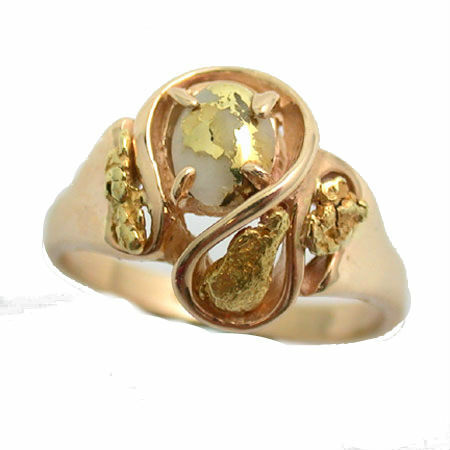 Gold nuggets inlay down the band making this ring very unique.